We have to admire ELK Studios for sticking with their characters. They usually make seasonal titles that show them off and it was a rather nice surprise to see a birthday-themed game with all of them throwing players a party. And now, our good friends the Bloopers have finally been promoted from being the backbone of the film studios to starring on the silver screen themselves! And so Bloopers became Platooners, fighting the good fight against a giant mechanical snake monstrosity. The title offers players a 5x4 playing field with 178 ways to win, a medium to high variance and a jackpot worth 2,500x the wager. 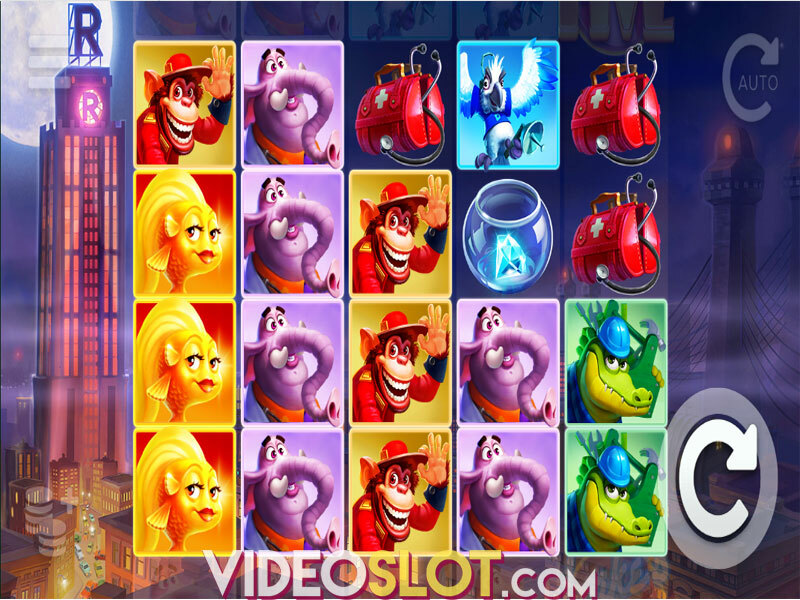 As we already mentioned, the end goal of the video slot is to face off against the snake in the special feature and unlock a few mini bonuses along the way. The game looks nice, though it won’t be winning any awards any time soon. Really, the bigger draw is in the theme of the title more so than its visuals. When you first boot up the title, a small introduction video plays to show what’s going on – before the camera zooms back and reveals that it’s all part of a film shoot. And for the rest of the slot, you’re playing with various parts of the set clearly visible, disappearing only when the special feature is triggered. But we’ll admit, unless you played Bloopers before this, you likely won’t find it as interesting or amusing as we did or feel great about the fact they’ve finally reached the movie set as stars instead of just being the support guys. Symbols include playing card icons A, K, Q and J, as well as a bag full of first aid supplies, binoculars, a sharp blade, and three dog tags with the word Platooners written on them. Thanks to the medium to high variance, gameplay mostly focuses around the two special features, which, to their credit, are rather expansive and have lots of potential. The first is triggered at random and would better be described as three mini-features rolled into one bonus. During any spin, the green Platooner will fill the first and third reel with identical symbols, the red Platooner will add Wilds to the third, fourth and fifth reel, while the yellow Platooner will create a five-of-a-kind win from one of the icons that appeared on the first reel on the activating spin. The second bonus starts when people collect three or more Scatter symbols. Gamblers start with fifteen ‘spins’ or rounds of ammunition – the amount of Scatters that trigger the bonus determines if one, two or all three Platooners will fire at the snake to damage it. The more damage they do, the bigger wins you get as well as getting some ammunition back when you defeat sections of the snake boss. Defeating the snake takes you to the next level, where weapon damage increases, but so does the difficulty of beating the boss. We’re quite pleased with how Platooners turned out. The theme was a fun callback to another ELK Studios release, but the gameplay by itself managed to be a lot of fun. The three mini-features don’t appear as often as we’d like, but it’s rather fun to score a big win after defeating the snake multiple times.